As a photographer you will likely come to a point that you want to be able to grab your gear and walk around while handling your camera and gear easily. You don’t always want to be dragging around a camera bag or backpack. Coming up with a system to accomplish this takes some time as well as trial and error. 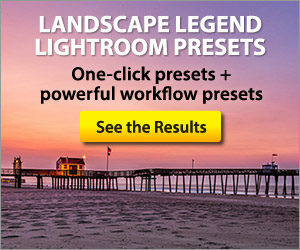 This article describes what I have found to be a solution for handling cameras and gear easily. I have discussed camera bags in a previous article. Camera bags or backpacks are an ideal solution for carrying cameras and accessories when travelling, transporting gear, or hiking. However, I find many situations that I want to have my lenses easily available to switch quickly. I also find that when using multiple cameras I don’t want to carry around multiple straps. 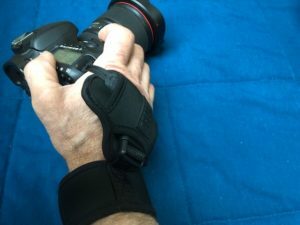 This article will discuss some simple and inexpensive solutions for handling cameras and gear easily for the short walkabout or photo shoot. 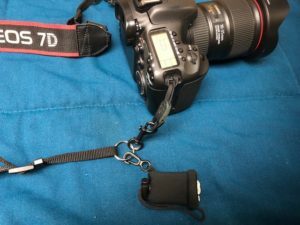 to my camera strap to make moving the strap to other devices quick and simple. Now you need a way to attach the camera to the strap. 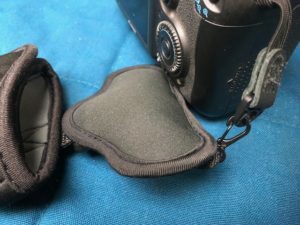 Using this type of setup on your camera strap also makes it very easy to attach a camera holster as well. 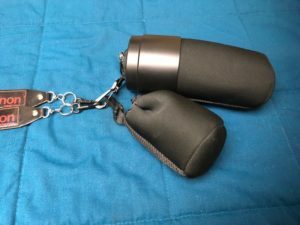 As mentioned in a previous article Photography Accessories – Camera Bags, a holster is a great way to protect your camera from the elements in inclement weather. 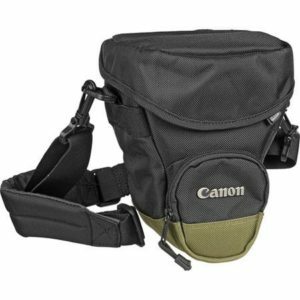 I use the Canon Zoom Pack 1000 Holster Style Bag . 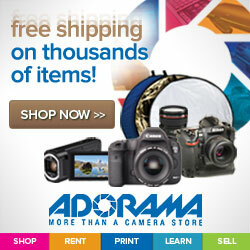 This bag accommodates my Canon 7d with a 16-35mm F4L IS lens. 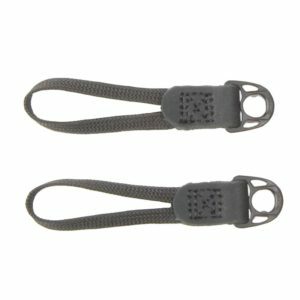 The swivel clips attach easily to the holster, and if I want to move the strap to the camera it only takes seconds to do so. 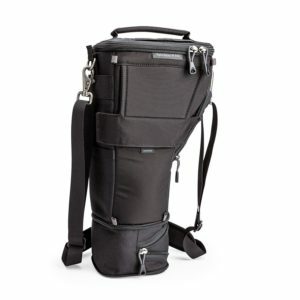 For larger lenses the Think Tank Photo Digital Holster 30 V2.0 will handle the job. 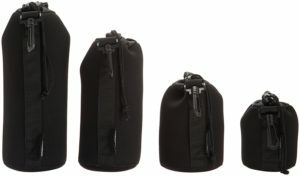 The Think Tank bag will hold a standard DSLR such as the 7d Mark II with the popular Canon 70-200mm 2.8 lens and can easily be attached to the camera strap setup described here. To resolve this I now carry a wrist strap. 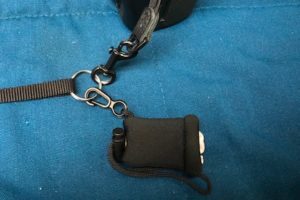 I added a small carabiner type clasp to the wrist strap to allow this to be attached to the loop connector on the camera. When on a walkabout and I want quick access to a different lens. I find that using a second camera strap setup as described above is a good way to carry for handling cameras and gear easily while carrying an additional lens or two. 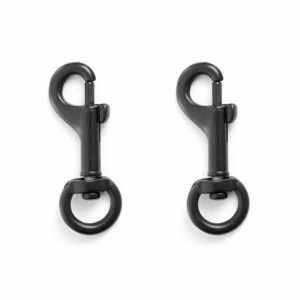 Amazon Basics makes a set of lens pouches with clips that will attach to the camera strap. I have found this system to work very well for handling cameras and gear easily when on a short walkabout. I don’t always want to carry a backpack or camera bag along. I also want to be able to quickly change lenses. I can comfortably carry my Canon 7d with my Canon 16-35mm f4L IS lens in the holster. I then attach the holster to my camera strap so I can quickly and easily switch the strap over to the camera. 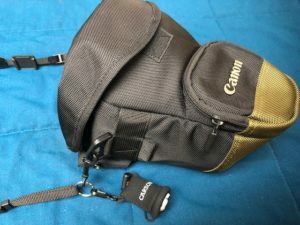 Using the Amazon Basics pouch set, I can attach my Canon 50mm 1.8 STM and my Canon 70-200mm f4L IS to a second strap and carry all my gear comfortably. 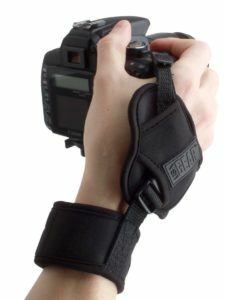 I also have the wrist strap set up to easily attach to the camera for those shots where the camera is handheld in a precarious situation. 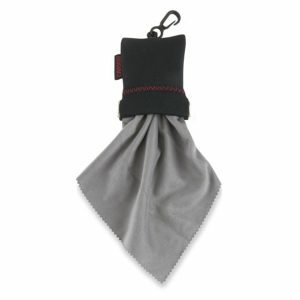 A cleaning cloth is always something I like to have on hand and easily accessible. 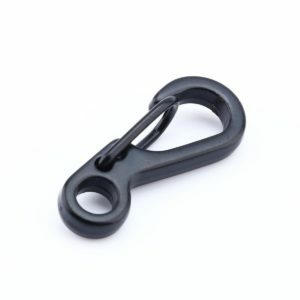 To resolve that I attach a Stuff-It Lens Cleaner to my camera strap keyring. 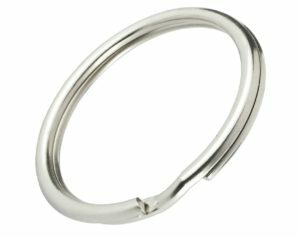 The arrangement of accessories described in this article has worked well for me. Examples of times when I like this way of handling cameras and gear easily include a walk around the park or street photography. A car show would be another good example of needing quick and easy access to different lenses. Other examples might include going to the zoo or game farm, a short hike, a walk through the arboretum, Japanese Garden, or botanical gardens. I find many occasions where I need this arrangement for handling cameras and gear easily. I would love to hear what you do in these circumstances. Comments are always welcome.